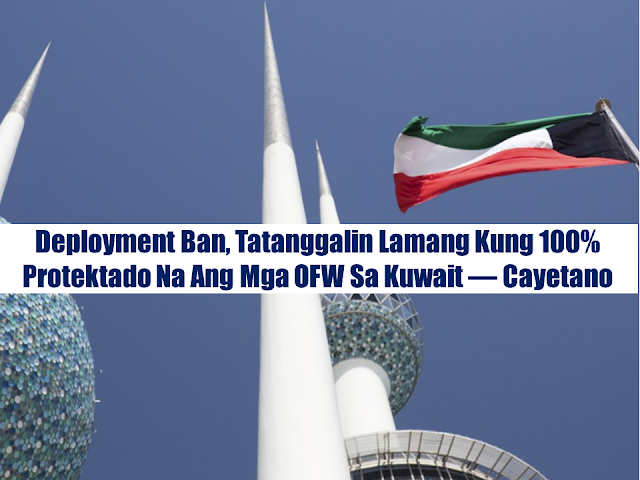 Only when Overseas Filipino Workers (OFWs) receive 100% protection in Kuwait, the deployment ban will be lifted. this is what Foreign Affairs Secretary Allan Peter Cayetano said during a press briefing as he assists the new batch of OFWs from Kuwait as they arrive at NAIA. 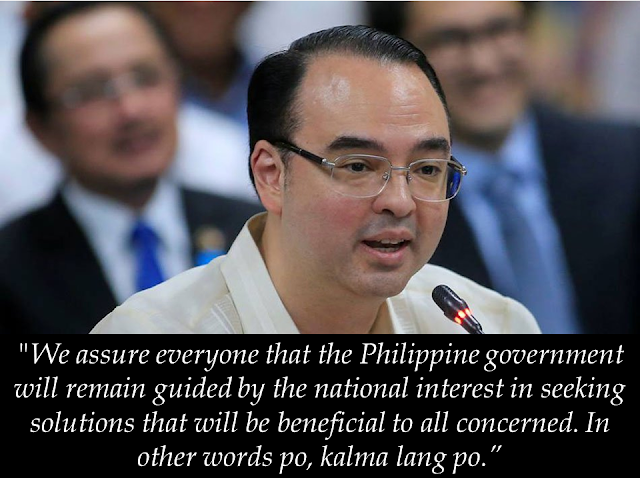 The signing of a memorandum of understanding (MOU) between both governments was one way to achieve this objective but in the meantime, due to the circumstances the past few days, the negotiation is on hold, Cayetano said. He also said they were discussing "other things" to arrive at the goal, but he could not disclose the details of the discussions as it could cause more confusion. President Rodrigo Duterte initially said the deployment ban was permanent, but Malacañang said the ban would only be in place until the signing of the MOU. Labor Secretary Silvestre Bello, Presidential Spokesperson Harry Roque, and other Foreign Affairs officials are scheduled to fly to the Gulf State on May 7 for the MOU signing. However, the status of the signing has been unstable since Villa's expulsion. "Nothing is set. We're hoping, but not sure yet," Roque said in a press briefing Thursday. Villa was declared by Kuwait as persona non grata last week ordering him to leave the country, following the rescue mission of distressed Filipino workers in the Gulf state. Warrants of arrest were issued against Filipino diplomats who were said to be involved in the rescue. Cayetano said they were accused of kidnapping. 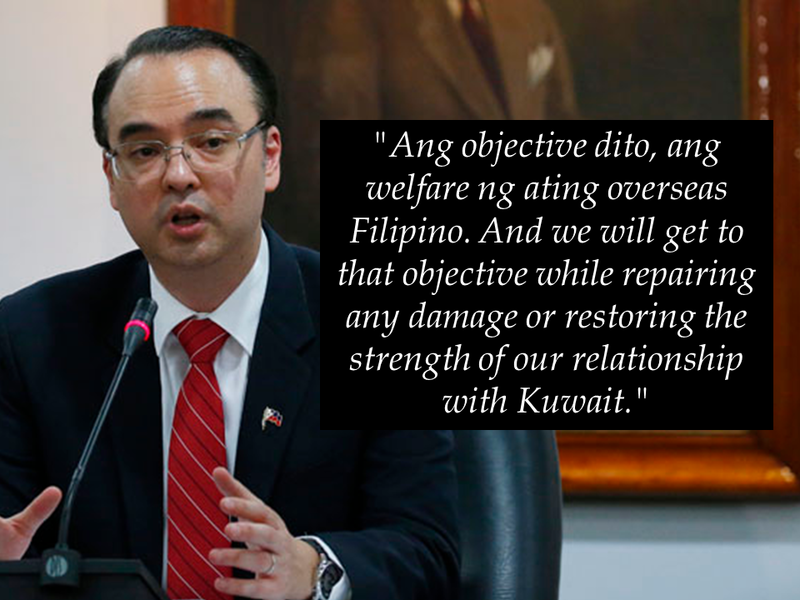 Cayetano said they were "sorting out" the issue as diplomats are given immunity. He added this was just part of the misunderstanding, but they did have an objective.